I obtained a staghorn fern which is and this one is pricier and more difficult to keep alive and healthy. I have given this plant TLC and extra care. I would put old bread in it a fruit peels. One day I was walking into my condo and a dove flies out of my fern and fluttered into my face. 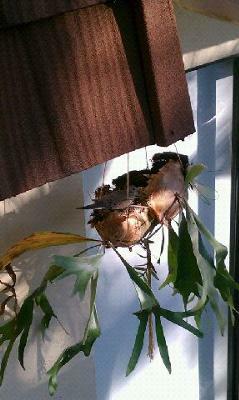 I realized two doves were building a nest in my hanging fern. I tried shooing them away all day. They diligently persisted in bringing twigs and nesting material. I noticed the next morning that only one dove was left and building had stopped. Mama bird did not fly away when I approached. She just looked at me and sat. I went up on the balcony and saw two big eggs under mama. I even had a barbecue outside with 7 guests milling in and out the door. 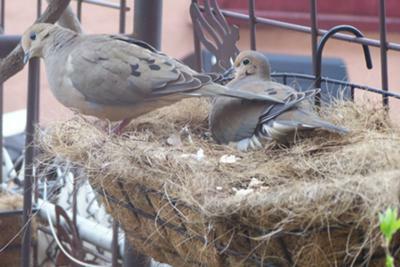 Mama dove seemed unbothered. They didn't even notice the well camouflaged mother. They were amazed that she was so still...only cocking her head at observers. I'm told it is a sign of good luck if baby birds nest near your door. I just wish mama, papa, and babies luck. if my calculations are right, I should meet beautiful baby doves next weekend. My deceased Sister left behind her Staghorn, at our St. Pete, Fl. home. 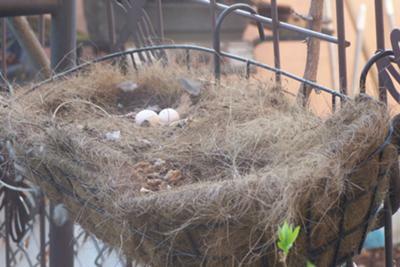 This year, for the first time, the doves have been using it, one at a time, to nest their eggs. After the two weeks, or so, of my practically hand feeding Mama - I spot the new baby dove. Another few days - and they're both gone forever. Within a weeks time, I have yet another new tenant. Keeping true to their loving and gentle ways - she sits on her eggs without budging. I always make sure to let her know it's me coming out the door - or just being on my front patio by some little tune that I repeat over and over. Not one flutter from any dove...and the saga continues. To think - this all started with a little sunflower seed and a soft bed. I won't complain - it's precious. I heard a cooing sound last week, and then last Wednesday, before my chemo, I watered my hanging petunias near my front door, and a good size Dove flew out. The same on Wednesday pm, and then again when I switched to a hose Thursday am. It rained hard Fri, sat and Sunday, so I didn't water, but after I watered tonight, I took the basket down. Omg, there is a nest with 2 tiny white eggs in it, and Mrs Dove bird stood on the sidewalk waiting for me to get finished. I put the basket back up on the hook and came into the house. I'll use the hose from now on. I wonder how long it will take for the eggs to hatch, and how long for the babies to fly away???? I was wondering for a few days why every time I opened the front door a dove would fly away...Then I discovered that they had built a nest in where I had a spider plant, the plant died a while ago but I just left it up there. I was very happy and excited for the eggs to hatch at first there was only one egg but now there's two however they been there for about three weeks and still haven’t hatched. I hope they will hatch soon and aren't bad, I want to check the eggs but know its best not to interfere. The male dove is used to me now and lets me take a closer look they're so cute. I've included a picture of him sitting on the eggs. We live in a fully attached brick house in the southern part of Brooklyn. We are a block away from a salt creek and a few minutes from Jamaica Bay. 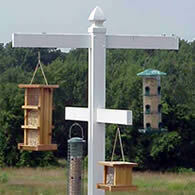 We are bordered by bird sanctuaries. I mention all this to put the pictures in perspective. The first several pictures are taken through the glass of the back door. The planter is hanging from a wire trellis that is attached to the short cyclone fence. You can see the neighbor’s yard, garage and BBQ through the trellis. The trellis is held up mainly by the wisteria vine and is there for the plant to fill in so we don’t have to see the neighbor’s yard in the summer. Because of the crazy Fall and Winter we never took the planters down as per usual. 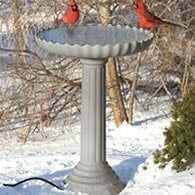 It’s all ironic, there are plenty of nesting places in the sanctuary; but this pair chose our planter that’s swinging in the March winds because the trellis is loose and the planter makes it top heavy when it’s unsecured. They are getting some ride! I am going in and out of the back door to my garage all morning. All at once I notice the dove in the planter, it doesn’t flinch and I go about my business. This nest is about 3 1/2 feet from the back door. 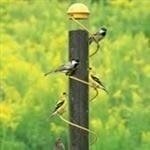 They have been around the yard at different times; but usually take off. One time I looked out an upstairs window because I heard the cooing and saw one nestled on the telephone cable where it makes an angle between the chimney and rear wall. This is a heavy lead cable so it provides plenty of support. Next time I pass, the dove is standing and I see an egg. I told my wife that we have a new tenant. Still going in and out and getting the blank one eye stare. I did notice that they change position every couple of hours. Now I’m curious and I’m checking on the bird all through the evening. Everything is status quo until my wife decides that this bird must be hungry and tries to place food near it in the planter. The bird takes off and we are both surprised that it abandoned the nest. Everything is back to normal in about a half hour. 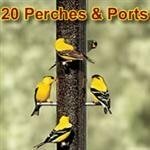 I go on line and find this website where I learned a thing or two about nesting Mourning Doves. Apparently everything that they are doing is normal. Now we know there are two and not to worry. In the process of putting a plastic bag in a trash can I scared the dove again and it went to the roof of the garage. That’s when I see that there are two eggs. I had a full view the first time and I know that there was only one egg. Once I was back inside the dove came back; that’s when I decided to take a few pictures. Contrary to the information given on the website I caught the shift change. Yep, one was sitting on the eggs and the other tending to it. Luckily my camera was in reach and I caught a few pictures. The second one left a few minutes later. Now late afternoon and the weather is turning. I felt a little sleet when I went out back to lock up. It crossed my mind that this bird has no shelter; but then I decided that I should just leave it alone. Everything is normal even though there is a cold drizzle on and off. Out for most of day so nothing to report. The dove was still there when we got home. I was sitting in my office on the second floor and I heard a noise that sounded like a squirrel or bird hit the window screen. I got up to look and didn’t see anything unusual. Then I looked down and saw an empty nest. In disbelief I went down stairs to check it out. There wasn’t a bird on the garage roof, the arbor, anywhere. At about 8:30 something caught my eye as we were having breakfast. I got up to look and there she was, like nothing happened. Can those eggs survive uncovered for that long in 40 degrees F? On May 15 of this year, I had a freak accident and broke my hip. This was inconvenient to say the least, as I am the principle care-taker for my Paraplegic and wheel-chair-bound husband. I knew a grim task was ahead of me, especially since I was ALSO now assigned a wheelchair and/or walker with instructions to bear NO weight on my right leg. and I just concluded that Murphy's Law was in control of this particular episode. Nothing was going right, or everything was going wrong. You take your pick. Until one day, I got diverted from a kitchen duty when I saw a Dove fly repeatedly into one of my four backyard hanging baskets. I wheeled away simply noting the fact that this was peculiar. I kept a vigil, watching this process and started to feel excited for the first time since at least three days. Suddenly, my excitement was infused with "happy!". What followed, interspersed with pains and difficult tasks, was more frequent trips to the window. Then as mobility began to happen, I KNEW I had to have photos. It was very tricking lighting (I'm a retired professional photographer ) as it was very back-lit and I was shooting through the window with a telephoto lens. I couldn't avoid some camera-shake and thus, photos are somewhat "soft", but I think that you can see the serenity that this beautiful event brought to a "downer type" of circumstance. I consider the whole thing a gift from nature. To make things even better, as soon as the fledglings left (I would say that three days had passed), we have another completely different sitting on the nest, and she is most definitely NESTING. Can't say that the last seven-plus weeks has had a rosy glow cast throughout each day, but I CAN say that one Dove and her two chicks brightened by life by a wide margin! I’m sorry about your misfortune, but I’m so glad that Nature has sent you such a sweet get-well gift! I am also blessed and honored to have a pair of doves nesting on my small but nicely tree-shaded patio. They’ve been hanging around for several years in a group of five or so, but this is the first time I’ve noticed a nest - which doesn’t mean much! It is so well camouflaged! I can’t wait to see my pair’s squabs! Thank you for the pictures of yours - they are great. And all best wishes for healing. In my book, I call that a God Thing. He was just showing you some beauty amidst all your misfortune. 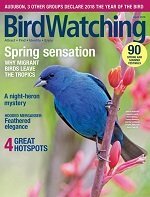 A mourning dove nest is what got me interested in bird watching several years ago, and now I am a fanatic!! Thanks for sharing and hope your future is better. Get well soon!! This is a very touching story and appears to be therapeutic for you. 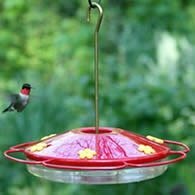 Keep the camera handy, you will find so many events to capture when you must stay still. What a beautiful picture of your new family. I am so sorry for your Murphys events however they are there to bring a smile to your face. Thank you so much for sharing and get well soon. Best wishes to you and your new extended family. My husband just finished redoing our porch in wood. To Celebrate, he bought me some nice colorful hanging flowers to decorate it. On memorial day this year, we hung them up on one side of the porch, but they were in the way because that was where we sit outside. So we hung them on the other side of the porch. After about a week, I noticed that birds mourning doves were flying in and out of my flowers flattening them. At first i was a little upset, but they aren't perennials and were going to die after this summer anyway so I decided to let the birds have their fun. I should explain that I have a 22lb. cat that is my baby and loves to go outside late at night and early morning. One night we were outside on the porch and he was definitely on the hunt for anything in his path. First he caught a June bug which I immediately made him spit out, then he went to the other side of the porch. I thought nothing of it until I heard a rustling sound and the loud flapping and chirping. I didn't get to see what exactly happened, but I do know that my cat scared a bird off the porch, maybe attacked it, and it flew into a nearby tree chirping loudly and rustling in the tree branches. This scared me because I thought that my cat had injured this bird. That is the background of the story. About two days after the incident with my cat, I was on the porch with my husband and my 1 1/2 year old son when we saw a mourning dove just sitting in tone of the hanging flower plant. My husband tried to shoo it away, but it would not budge. We thought that maybe it was about to lay eggs, so my husband wanted to take a picture of it. He was successful, but 2 seconds after he snapped the pic, the dove flew away. So I did not think it had nested. I looked in the flowers, and sure as shoot, there were 2 perfectly round white eggs. We felt so bad for disturbing this poor dove that we immediately took a pic and left it alone and forbid the cat from going outside. 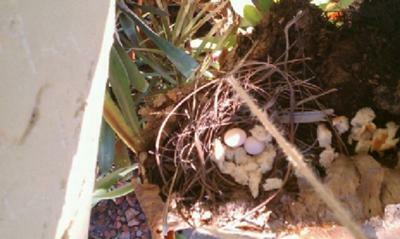 The dove came back that night so I felt a lot better that it didn't abandon the eggs because of our negligence. But I have never seen the male and female switch places, and I am very worried that my cat may have killed one of them. I looked around the tree it flew into that one night, but never found a body, so I am hoping that they are still both alive and watching the nest because I know that it is near impossible for the one bird to do it alone. But every day I am on the porch talking to my dove and keeping a watchful eye on it. Hoping that I get to see two little baby doves soon with a happy mommy and daddy. I am attaching the two photos we took that actually turned out fabulous considering they were taken with a camera phone. I hope to keep you updated when the eggs hatch. 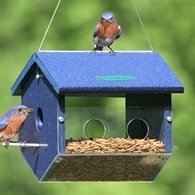 Yes, birds take several days to build a complete nest. Yesterday when I woke up noticed my hanging Geranium planter had many fallen blooms on my deck......I thought the wind; wrong!! 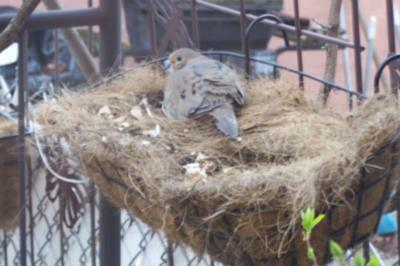 I noticed a Dove going back and forth to the planter w/twigs while his mate Sat in the planter. Later in the day they were both gone. I figured they jumped ship so I removed the nest and water my Geranium. Lo and behold, they were back today with a puzzled look. They build another nest but by late afternoon were gone again. I will leave the nest in place this time with hopes of their return tomorrow. My question....is this normal Dove behavior? We have a wicker etagere on our porch that 2 doves have made their spot to nest on. After 2 different egg hatchings, I assumed they were done. But after removing the nest and hosing everything down, a few days later thay started rebuilding a nest. They hatched another 2 eggs and started the 4th. After 2 weeks of watching them exchange nesting chores, we discovered the body of one of the doves lying flat on the patio floor. We don't know what happened. For the past week, we noticed lots of feathers floating around on the patio. Wondering if it had a disease. We are waiting to see if the mate comes back this morning. I'm so sad. There's 2 eggs still in the nest, just waiting. 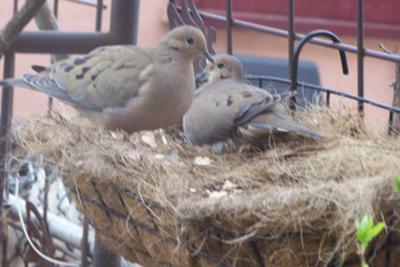 We finally saw that the mommie dove and/or daddy dove came back to feed the one last baby. 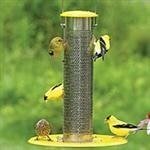 It took another week for it to fly away and one day, we were "empty nesters'! We took the nest out and started watering our pothos hanging plant which we did continue to water even when the babies were there. We just got a very skinny small plastic watering can to make sure we didn't water the babies - the nose was long and thin and sometimes we were able to water without disturbing the mommie and babies. 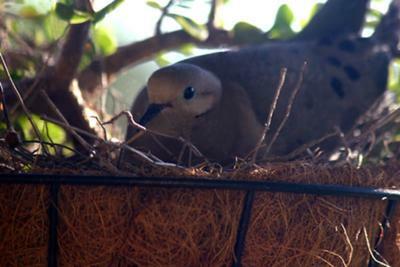 I too have a morning dove who took up residence in my hanging petunia. She has been there about 14 days and no baby birds yet. My nephew scared her off one day and I saw the two white eggs but she came back. I now make everyone enter through my garage so as not to scare her but my petunias are dead. I sure would like to hang a new basket there or it would have been nice to have watered the flowers. Did anyone keep watering the plant? HELP!! baby bird left behind? WOW, we just got done having our whole yard landscaped and decided to put hanging baskets on our porch. After a couple weeks we, too, had a mama in our hanging basket and had two babies. We're worried, however, because one of the babies already flew off and there is one left behind. We thought we might have seen either mama or dad fly into the nest but we're unsure. We still have that one baby looking big enough to leave but still there. Are the parents feeding him until he flies off or what's happening? Anyone know? We don't' want to see him starve to death! 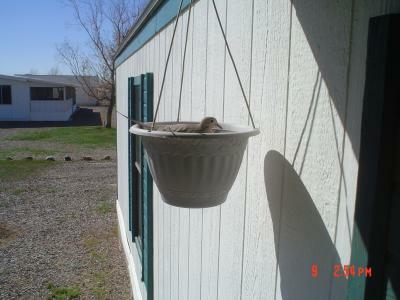 I, too, have morning doves in my hanging basket! Haven't taken a picture but if I did, it would look very similar to Christine's. Our babies hatched a couple of days ago and they are just as cute as can be. I will say, however, I was reluctant to hang my petunia flower basket by my garage because two years ago, a morning dove made a nest there, laid two eggs, the nest and eggs somehow fell out of the basket. My husband carefully picked it all up and put it back in the hanging basket, and we anxiously waited to see if the male/female would come back and whether or not they'd make it after being handled by humans. Well, lo and behold, they did come back and both babies made it. We were thrilled! Didn't hang a basket in the same spot last year. This year, hung a basket in the same spot, and it was barely hanging for two/three days before we noticed the morning doves flying in and out. Anyway, as I said in the beginning, we now have two little babies and hope they both continue to make it. For the record, I hang baskets in other parts of my backyard, but this is the spot they go to. 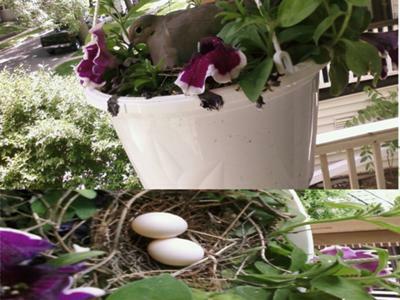 I too had been chosen by a dove to nest in my hanging flower basket. Since it was right outside of my dining room window, it was easy to keep an eye on the dove. After a few days, I happened to be right there at the window when she flew off and I saw 2 white eggs. Of course, she came right back to her eggs. I also saw the father come to take his turn. Obviously, I was spending a lot of time at the window watching this wonderful adventure. 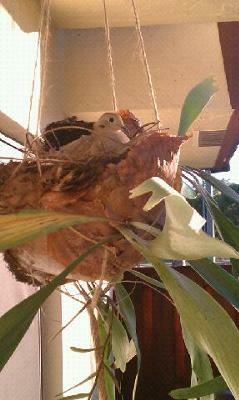 I also invited my grandchildren (5 yr old & 3 yr Old) to come and see "our" nesting dove. Two days ago, tragedy struck! In mid-morning, I noticed the flower basket was empty!!!!!!!! No dove - no eggs. WHAT HAPPENED???? I know the mother dove was there when I looked first thing that morning. The flower basket could not have been reached by a cat or squirrel. Could another bird have attacked? Well, we are all now very very sad. The dove and eggs are gone and we don't know why or what happened to them. The father and another dove stayed nearby for a couple of days after the disappearance but they seem to be gone too. I have an update for my story. 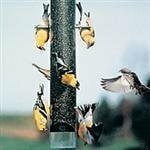 For anyone wondering if both the parents are ok, they are, after reading up on the mourning doves nesting habits from wild-bird-watching.com, I actually got to witness the mommy and daddy switching places to take their turn. 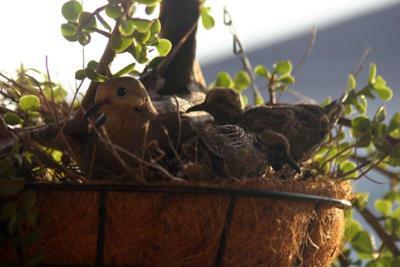 So all is well in my flower pot, and I will keep an update for when the babies hatch. and for alisha, I will be naming the babies as soon as they get here,. since I wont know if they are boys or girls, any names will do. if anyone has any suggestions, please let me know. It took me all 9 months to think of my sons name during pregnancy, so any suggestions would help. Thanks. I found a sick abandoned baby bird this morning and am taking care of it. He's really cute and his name is Greek. Prometheus. ( pro me thee us) you guys should name the doves. They look like they deserve names. Tell me what you name them.